Instead, they’re looking ahead to the future by making significant investments aimed at making the industry more modern, nimble and streamlined. About this time last year, the air cargo industry gathered at the World Cargo Symposium in Dubai and marveled at yet another year of steady growth. Industry experts discussed the prospect of a continued steady climb through 2017. But no one predicted the almost 10 percent jump in volume. 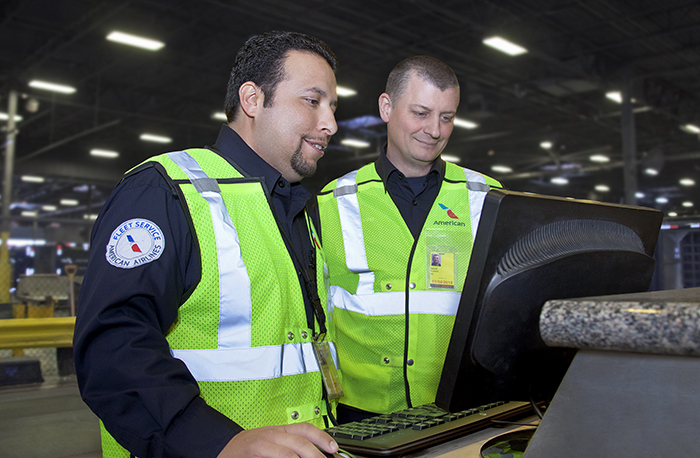 Air cargo pushed record numbers of products through its existing system. With its textbook resilience, flexibility and ingenuity, the industry moved more than one-third of the world’s value. And it did it speaking hundreds of languages, addressing regulations in almost 200 countries, and scheduling through all 41 time zones. The air cargo industry – freight forwarders, airlines and ground transporters – moves 35 percent of global trade by value, yet only 1 percent of volume. Lately, it’s been e-commerce driving the demand, and it’s not going away anytime soon. As retailers fully embrace artificial intelligence, blockchain technology and big data analytics, online transactions will become easier and more personalized. This represents an opportunity for our industry, but in order to take full advantage of it, it’s modernize or get left behind. "The air cargo industry ... moves 35 percent of global trade by value, yet only 1 percent of volume." In the meantime, our industry’s current technology and infrastructure are being pushed beyond their limits. For years, innovative companies have made things work with what they have. But the opportunity cost is real, and unless the entire industry modernizes, there will continue to be revenue opportunities left on the table. At its most basic level, consumers are the ultimate drivers of this economy. They then tell producers and manufacturers what they want. In turn, the producers and manufacturers take those demands and find the intersection of quality and price. If they do their job, the economy has the vehicle to move forward. It’s basic economics. But those economics don’t move as quickly without the enablers – the freight forwarders, shippers and airlines that make up the air cargo and much of the logistics industry. We make the world’s economic vehicle actually move. For its part, IATA has been proactive in setting industry standards and acting as a guiding hand. American Airlines Cargo is investing in a more nimble, streamlined future. In February, American made a substantial commitment in a next generation cargo management system through their partnership with IBS. By reimagining their internal processes to focus on customer benefit and experience, they are building a foundation that will enable them to be more nimble to respond to the future as it unfolds. This new mindset and IT system will greatly reduce the amount of paper and manual work currently required of forwarders and handlers. That, in turn, will streamline the booking process and reduce complexity from the equation. 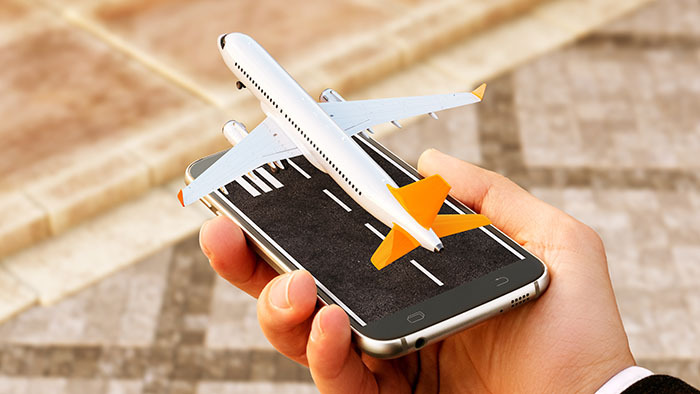 Since greater connectivity is the key to opening up the air cargo supply chain to more capacity, then information technology (IT) is the vehicle driving us toward that goal. Hughes described how he always waits at least two generations before he upgrades his personal smart phone, possibly waiting until his current phone is no longer supported. His children, on the other hand, buy each generation of smart phone as soon as it is available. American understands that its hundreds of customers, from freight forwarders to ground transportation companies, run all along the spectrum of technology adoption. Some have already made the IT investments, while some haven’t yet. There won’t be one big rollout that changes the industry, but instead a more iterative progression from one company to the next. That makes collaboration all the more important to make sure everyone is along for the ride. "Those who are not ready (for the revolution) will not survive." In addition to its investment in IT, American has also fundamentally reimagined the way it thinks about its customers. When Mathieu founded the customer experience team in 2013, he took on the challenge of finding every customer touchpoint involved and consolidating them under one umbrella. “Gone are the days when customers had to send a fax or an email to know the status of their shipment’s journey,” Mathieu said. Now, the customer experience approach gives the customer one touchpoint and more streamlined interaction with American. These investments – both in IT and in holistic approach – represent American’s latest efforts to play a key role in pushing the industry forward. It’s no secret that the air cargo industry has been slow to adopt new technology. While the days of hand-written paperwork are not fully behind us, the industry is making great strides with IATA taking a big role in this forward progress. With the investments American is making, along with their deep partnerships with the freight forwarders who drive the industry, they’re taking destiny into their own hands. Juli R. Branson has been a professional writer and marketing/public relations adviser for more than 20 years. She has worked with corporate CEOs, members of the President’s cabinet, university professors and small business owners. Her writings have won numerous professional awards and major media outlets as well as small, trade publications, have quoted her clients.